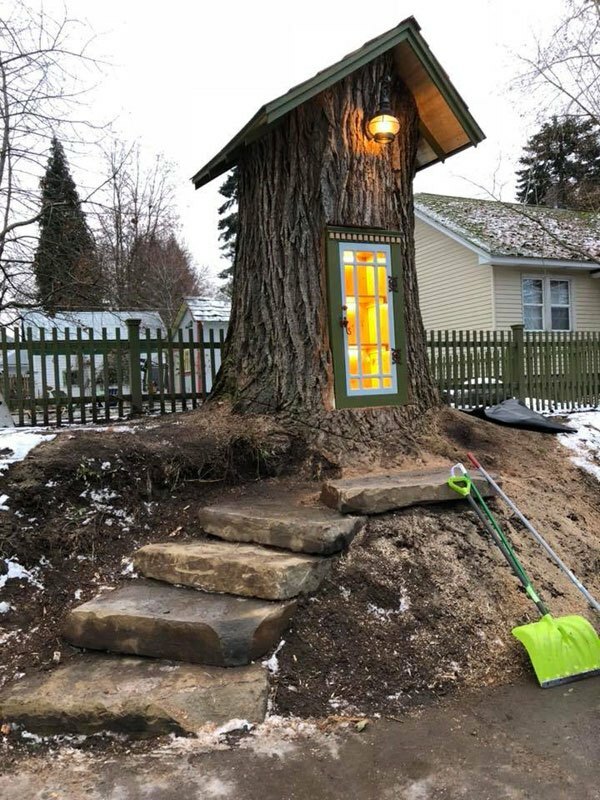 When city workers of Coeur d’Alene, Idaho told Sharalee Armitage Howard they would have to remove a huge 110-year-old tree from her front yard, she was saddened. 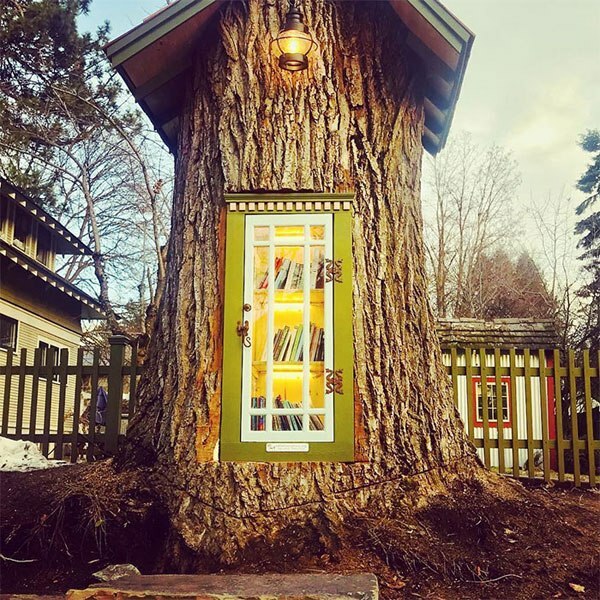 Determined to preserve whatever she could of the beautiful tree, she decided to turn the tree’s trunk into a free neighbourhood library with the help of the nonprofit organization, Little Free Library. 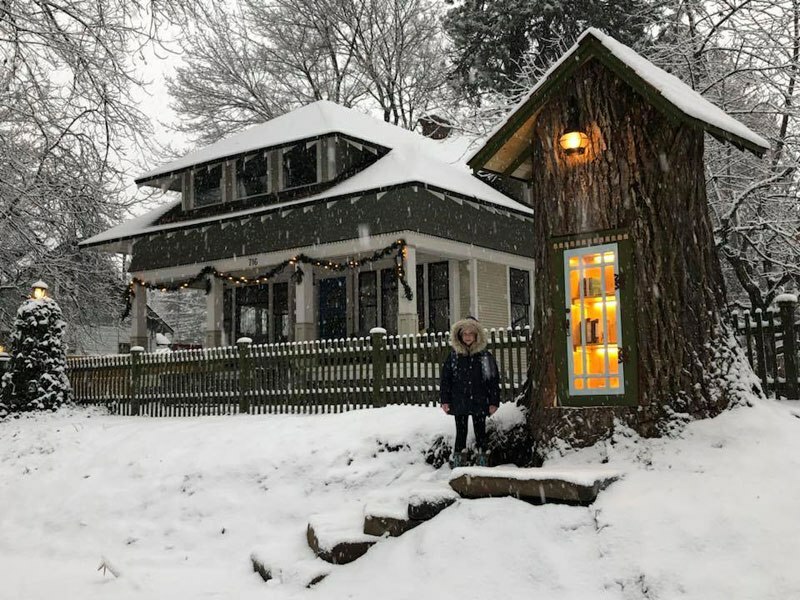 With over 75,000 ‘Little Free Libraries’ in 88 countries, it’s possible you’ve seen these (though not as elaborate) in your own neighbourhood! According to Sharalee, the old cottonwood tree was starting to drop huge branches onto the sidewalk and street and the tree was simply approaching the end of its remarkably long life. 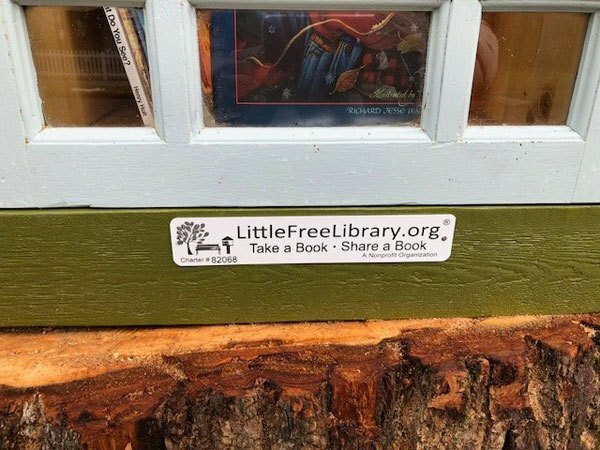 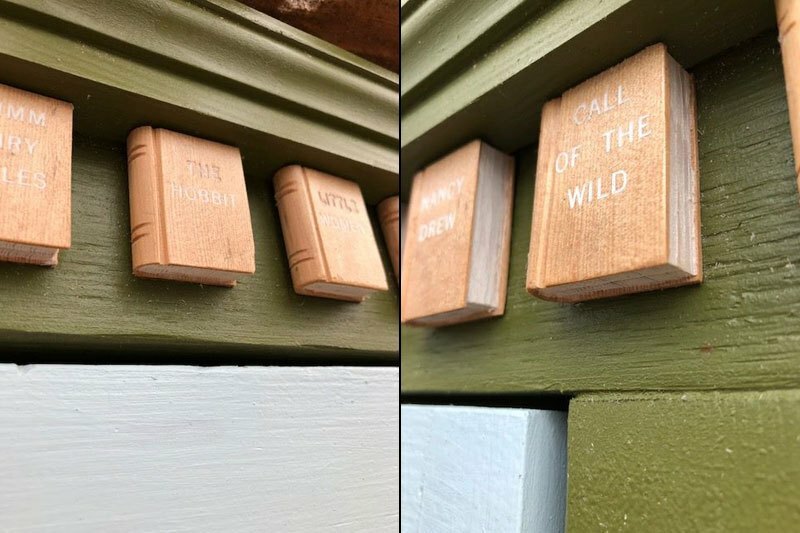 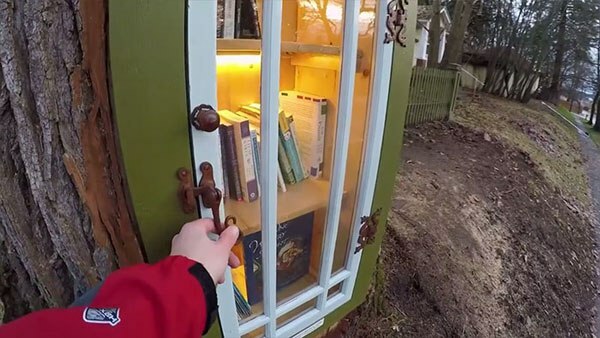 Below you can find some additional photos of this amazing little library.